On Sunday, I lit a candle in each room of my house: bedroom (dresser), bathroom (shelf), and living room (windowsill). Usually I light one at a time. As I lit them, I thought, I am going to forget one. I will burn my house down! My mother always used to warn me about this. I was reading more Jung earlier that day. Jung is dreamy good for Sunday. He quoted the Bible: “old men shall dream dreams.” Old Testament, Joel, quoted by the New Testament, in Acts. The school year is old, elderly, in fact, dying. I was dreaming dreams. I had dreamed about how people’s hearts are like the sun, sometimes clouded over, but always nuclear powerful. I did blow out all the candles on my way out. And I remembered that it was Pentecost. How funny, that on Pentecost I had lit all these candles in the middle of the day, on a sunny, hot afternoon. I happened to be wearing an appropriate, reddish-colored shirt, too. I bumbled into church, late as usual, and there was our lesson: “Old men shall dream dreams,” The New Testament version– Acts. What could it possibly have meant, that your leader got killed and no God stepped in? Well, people come up with some ideas, and the only canonical narrative ones are Acts. I found the whole thing rather uncomfortable last time I read it. Healings, prisons sprung open, people falling down blind on country roads. The Pentecost story is the nuttiest one, where Jesus’ friends are hanging out, and get inspired, and open their mouths to speak, and it’s like everyone has one of those Star Trek translation earpieces in, each person in the crowd hears God talking to him in a way that makes sense. This disturbs them so much that their only theory is: these guys must be hammered. Why they don’t suspect that they are drunk is a reasonable question. They are the ones hearing things. Well, maybe it’s the people who can’t hear God are the ones making the accusations. They usually are. As a comic aside, Peter assures them that no one is drunk. It’s 9 AM. As everyone knows, you could be drunk at 4 AM, maybe even 6, but it is impossible to be drunk at 9. Peter’s theory is that these are “last days,” and that “the sun shall be turned to darkness and the moon to blood…. Then everyone who calls on the name of the Lord shall be saved.” Instead of the sun in your heart, you will feel dark and lost, and you will ask for help, and then you and your friends will light up like jack-o-lanterns, and breathe, and everyone will hear God, out of that. Jung writes about many experiences he had that he can’t say are “real.” He saw a mosaic in Ravenna that gutted him with its beauty, and later found out it wasn’t there. 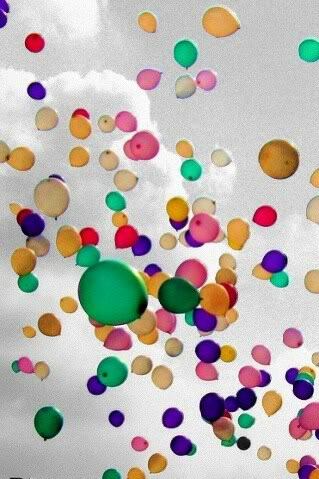 I went to get coffee after church, and blowing up the street like tumbleweeds, I saw bright balloons. A red one. Then a baby blue one. How weird. Were they really there? Balloons are happy breath. Blowing out celebration. I think I saw them, and I think I heard them, in my own language. Had you been at the 10:15 service you would have seen three baptisms. What you would not have seen was the “Baptismal Duck” floating on the surface of the baptismal water, flashing red and blue lights. It was Pentecost, after all! Wow, I have a rubber duck with a pierced bill, and a pirate rubber duck, but a Baptismal Duck sounds like the last word in duck fashion!